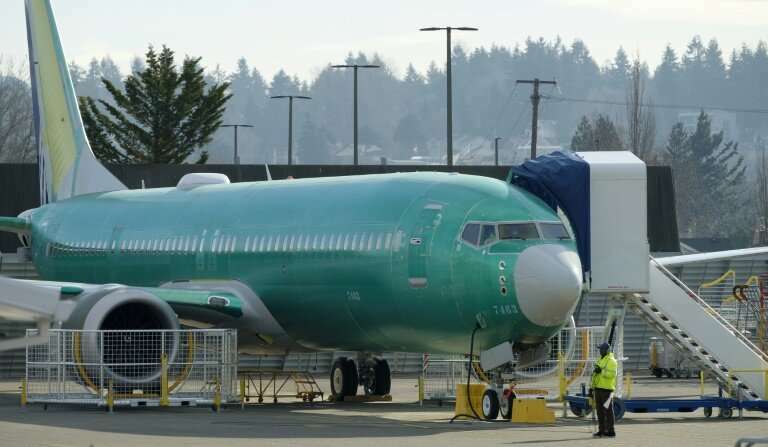 Despite a wave of countries grounding the Boeing aircraft involved in another deadly crash, US authorities on Tuesday said it would not make any decision until it has more evidence. Britain on Tuesday joined four other countries in banning the Boeing 737 MAX 8 plane from its airspace, and airlines in several other nations pulled the aircraft as they await the results of the investigation into the crash that killed 157 people in Ethiopia, the second accident involving that model in five months. The US Federal Aviation Administration has a team in Ethiopia working on the investigation, but said there are "No updates so far." "We continue to be involved in the accident investigation and will make decisions on any further steps based on the evidence," FAA spokesperson Lynn Lunsford told AFP in an email. In a statement Monday, the FAA said it would "take immediate and appropriate action," if it found any issues that affect safety. A Lion Air jet of the same model crashed in Indonesia in October, killing 189. "We are confident in the safety of the 737 MAX," he said in an email to Boeing workers. "Speculating about the cause of the accident or discussing it without all the necessary facts is not appropriate and could compromise the integrity of the investigation," he said. In the wake of the Lion Air crash, the FAA ordered Boeing to update its manual and training requirements, and complete "flight control enhancements" no later than April to reduce "reliance on procedures associated with required pilot memory items."